Choosing the right type of hosting for your WordPress site can be a daunting task due to availability of a plethora of web hosting types as well as multitude of web hosts. However, if you look at the positive side, it can also imply that there is enough scope for you to select the perfect hosting solution for your WordPress site. Although, it would be ideal to use your own Linux server for WordPress, you should think of a hosting plan to for ease of managing your WordPress site. Hosting plan is also recommended strongly if you do not have enough technical expertise to operate own Linux sever. In order to choose the most relevant hosting plan, you will have to consider three main options including, shared hosting, VPS hosting, dedicated server hosting, and cloud hosting. You can also add an option of leveraging CDN (Content Delivery Network). Preference of a particular type of hosting depends largely on the type of your web project, although all the above mentioned options are technically viable for WordPress hosting. 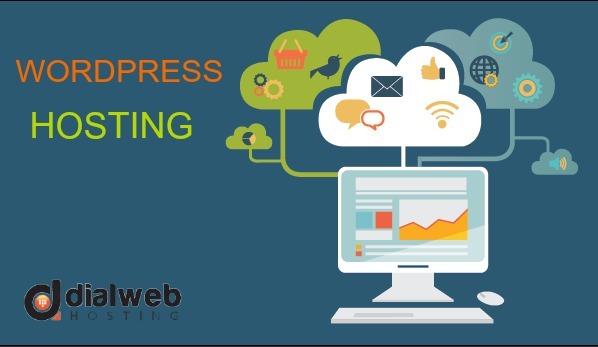 In order to choose the right type of hosting for WordPress site, one should have in-depth knowledge about key attributes of these hosting types as well as their abilities to handle various functionalities that are exclusive to WordPress. The name itself suggests that your WordPress site will be sharing a server with host of other websites. The attribute of sharing also extends to all server resources resulting into limited availability of resources for every website. The most striking advantage of shared hosting is the economy of hosting due to its multi-tenant environment. The main drawback of shared hosting is its inability to provide support to sites that may outgrow the allocated resources. Let us take a look at merits of shared hosting in view of WordPress hosting. As mentioned earlier, shared hosting is the most cost effective option and all aspects of maintenance and security are managed by the host. With most of the useful tools being installed already, your WordPress site can be up and running without any hassles. Shared hosting is far easier option in comparison with other types of hosting and you are also assured of instant tech support in the event of any issue. Shared hosting suffers from lack of security because there is always a lurking danger of server being compromised due to insufficient security measures by other websites. This can also potentially harm your website. Noisy neighbor syndrome is the most notable drawback of shared hosting. Your site can face blacklisting if it happens to share a common IP address and one of the website with same IP address is engaged in spamming activities. Users are not able to access advanced settings in shared hosting. With absence of root access to server, you will not be able to take any action if you exhaust PHP memory or test your site for managing traffic spikes. Shared hosting is not ideal for sites that expect heavy traffic because of resource limitations due to shared environment. However you are justified in choosing shared hosting for sites that are not looking forward to a moderately high traffic. In spite of being a shared offering, VPS hosting allows far greater resource availability than shared hosting. You can list multiple attributes of VPS hosting that can justify its use for WordPress hosting. It grants you root access with ability to change important settings. VPS hosting is also highly scalable and one need not migrate for sake of upgrading plans. Users are also able to afford VPS hosting plans that are not exorbitant in many cases. VPS hosting is a multi-tenant option and therefore it also offers security concerns similar to shared hosting. It can ideally support new websites that have complex structure or any site that needs to run plugins and custom scripts. The word ‘dedicated’ sums up the most important attribute of this type of hosting. It lets you enjoy complete autonomy of hosting and full root access to a standalone server with no other website to share its resources. There are few downsides to dedicated server including the huge cost of hosting and lack of scalability. It is an ideal option for running high security and complex websites that need multiple plugins to be installed. This is a radically different type of hosting than the traditional options since it involves clusters of remotely positioned servers that enable redundant storage and facilitate remote access. Cloud-hosting offers excellent scalability to keep your site up and running without any issue of downtime. However cloud hosting setup can be complex and therefore one must ensure availability of technical support before diving into cloud hosting. It is most commonly used by very big organizations. VPS hosting is the most ideal choice for new websites that are having ambitions to grow in near future. If you are looking forward to host social media site, gaming site, or a website of a large organization, then dedicated server hosting should be preferred.